As a Newark Fireman and Newark Special Police Officer, Mr. Wallace observed the myriad dangers that awaited young people on street corners 'Giving kids a route off the streets" was his idea to help improve young people and their families lives to help them realize their full potential and to be productive citizens. IYO- The International Youth Organization has administered the States New Jersey Youth Corps for Newark and Essex County since the inception (1984) and has successfully trained thousands of youth and young adults who want a "second chance" at a brighter future.Under the State of New Jersey Labor and Workforce Development, the " corps" is a year-round voluntary program designed for youth and young adults ages 16 to 25 who have left high school before earning a diploma or obtaining adequate job skills. Employability/Life Skills- Preparing participants for the 21st-century workforce. A Newark Fireman and Newark Special Police Officer dedicated his life to the development of young people by being the Founder of The International Youth Organization in Newark, New Jersey. Mrs.Wallace is the Co-Founder along with her late husband Jim Wallace of The International Youth Organization.A passionate advocate for non-traditional approaches to supporting young people who may have been written off by society. She is the recipient of many awards nationally and locally for her extensive work with young people. 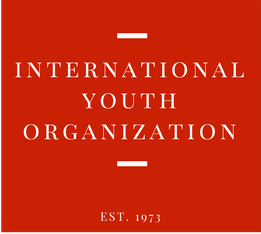 Wayne Smith is the Chairman of The Board of The International Youth Organization. 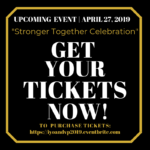 He is the Community Business Development Specialist at the BCB Community Bank, President/CEO of Wayne Smith and Associates a marketing, public relations, and urban affairs consulting firm.Also serves as President of the South Orange Chamber of Commerce (Nj). His public sector includes 12 years as Mayor of Irvington, New Jersey, 6 years on Irvington Municipal Council and 4 years as Council President. He served as President of both.The New Jersey Conference of Mayors and the New Jersey Urban Mayors Association.